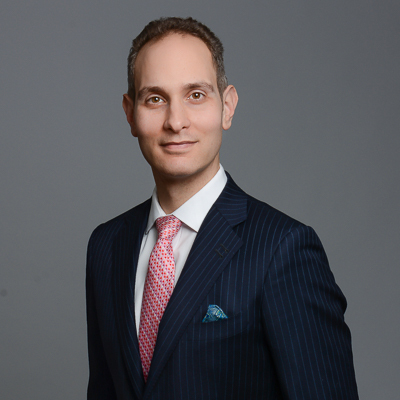 In the final instalment of a four-part series on long-term disability insurance, Toronto personal injury lawyer Brian Goldfinger discusses some of the unique issues that surface in LTD claims filed by educators and postal workers. Toronto personal injury lawyer Brian Goldfinger refutes any perception that teachers and postal workers have cushy jobs as they are among the top clients he helps fight for in long-term disability (LTD) claims. Teachers and postal workers share a number of commonalities, he tells AdvocateDaily.com. “Both are unionized and have access to a variety of benefits, but they’re in very high-stress, difficult jobs and they don’t get proper credit. “They take some time off for stress, but it gets extended because their doctors or therapists believe their work environment is unhealthy for them,” Goldfinger says. “It sounds strange because people often assume teachers are in a class of smiling, happy children, or that a postal worker has a dream job,” he says. Goldfinger says that while many of these cases involve stress leave, physical issues are also common. He points to a 2017 survey that found almost nine in 10 teachers have experienced or witnessed violence or harassment in the workplace. “Teachers and education assistants who are involved with special needs students are sometimes physically attacked their students — certainly more frequently than other teachers in mainstream areas,” Goldfinger says. The Workplace Safety and Insurance Board report found elementary and secondary educators and counsellors in Ontario accounted for 13 per cent of the 239,000 lost-time claims filed that year. The injuries range between minor and serious. The comprehensive report also indicated males aged 50 to 54 and involved in “mail and message distribution occupations” — a category that accounted for seven per cent of loss-time claims — showed a high rate of injuries, primarily to the legs. Another hazard, Canada Post reports, is about 500 postal workers are attacked each year by dogs across the country. When those employees seek LTD, that’s when advocates like Goldfinger get involved. “Those environments can be difficult and stressful, and unfortunately those groups don’t get much empathy from the general public, or from their friends and family for that matter,” he says. Goldfinger says affected postal workers also include those who work behind the scenes sorting mail, a repetitive demanding job. Insurance companies usually approve LTD applications, but when these are denied, policyholders generally have two years from the date of rejection to challenge the refusal, Goldfinger says. There are appeal processes in place within insurance companies, but he believes legal representation would level the playing field between the claimant and the insurer. Goldfinger says his role begins when the union can’t or won’t take the fight to the insurance company. “It’s very common for us to stand in when the union just doesn’t have the expertise to advocate for its members and stand up to the large insurers,” he says. “On some, they don’t have the know-how or the will or resources to do it, and that’s when we step in and fight for these teachers and postal workers. “When the union says it has taken a case as far as it can and can’t do anything further, that’s when a person making a claim needs to get a lawyer like me to fight for their rights and their LTD benefits,” Goldfinger says. Now on to some first person legal blogging from Brian Goldfinger. It has to do with the concept of “the truth”. The idea of “the truth” sounds simple, but it’s not. What one person perceives to be the truth, may be completely different than another person’s account of the truth, or what actually transpired. There are objective truths, or facts: like there are 7 days in a week, 60 minutes in an hour, and 12 months in a year. There are objective facts, or truths. To expand on this idea, if a car accident took place on a Monday, this cannot or should not be disputed. But then in a Court there are also subjective truths. These are subjective versions of events which may be truth for one person, but fictitious or different for another person. The saying that the story is “my truth” rings true in contrast to “my truth” is different that “the truth” or different from “your truth”. Buy just because one person’s truth is different than another person’s truth does not necessarily mean that one person is being untruthful or is attempting to mislead the Court. This is simply human nature and how memories work. Not everyone is perfect, nor does everyone have a photographic memory. Some people are better story tellers. Some people may have their reasons for not speaking the entire truth (i.e. they may have something to hide out of fear of losing something near and dear). Lawyers often see conflicting stories in Court and in source documents (medical records, police reports, hospital records etc). A nurse may record in a triage record that the accident took place as a result of a collapsing picnic table, when in reality the source of the accident was actually a collapsed retaining wall. How the nurse confused collapsed retaining wall for collapsed picnic table is hard to understand; or is it…. Simply because the nurse recorded her note this way does not mean that the event happened that way. The nurse didn’t see the event causing the injury. This was the note which the nurse recorded in her notes. It’s her understanding of the truth, based on what she heard, or understood or misunderstood at the time she recorded the note. Keep in mind that the nurse never witnessed the incident. Fact of the matter is, the nurse may have been very busy, stressed, misunderstood, or confused about this incident and confused it for another incident and recorded a note wrongly. Still, this is the nurse’s version of her truth. And sometimes we as lawyers put too much credence on third party accounts these”truths” in order to twist the facts in our clients favours or create doubt for the opposing party’s case. These accounts are from parties who didn’t see the incident first hand, are often busy, over worked, underpaid, and just trying the get through their shifts. And when these note takers are later cross examined on these notes, they often get very defensive, crumble and don’t make the best witnesses. In particular when there are corroborating notes from multiple other sources which contradict their version of events, or their “truth”.